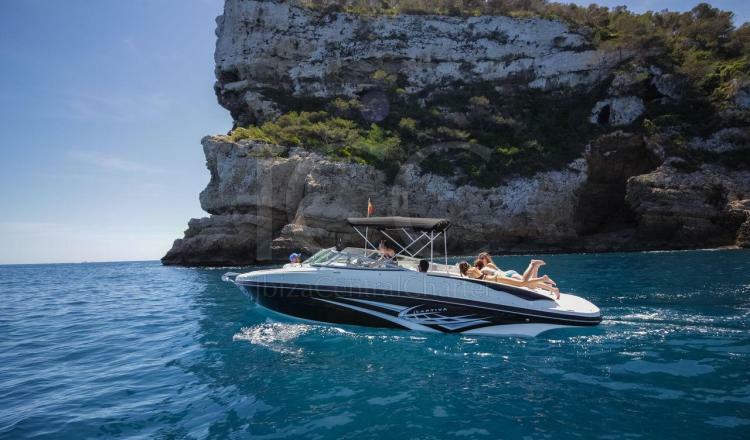 This Rincher 246 Bow Rider of 8 meters is the perfect combination of comfort and perfect power to discover the different coves of Ibiza and Formentera from another perspective. 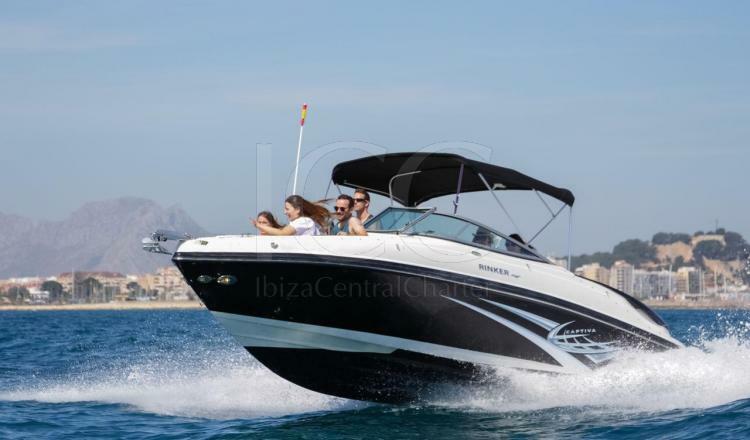 The Rinker 246 Bow Rider is a sports boat of 8 meters in length with capacity for a group of up to 10 people to enjoy a day of sun and sand on the islands of Ibiza and Formentera. 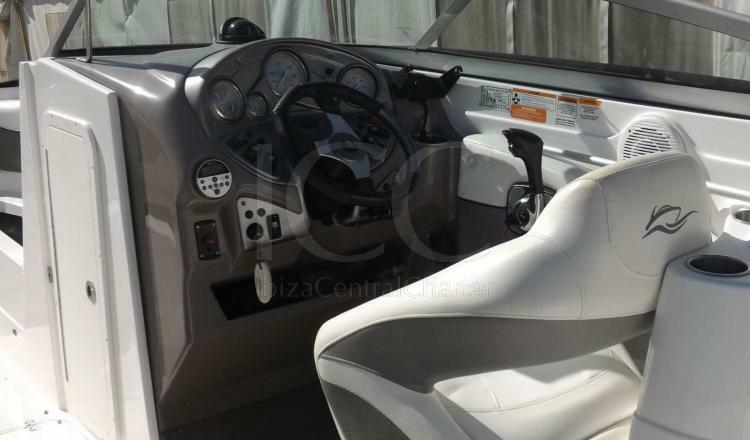 It has a MerCruiser MPI 220 hp engine that reaches great speeds. 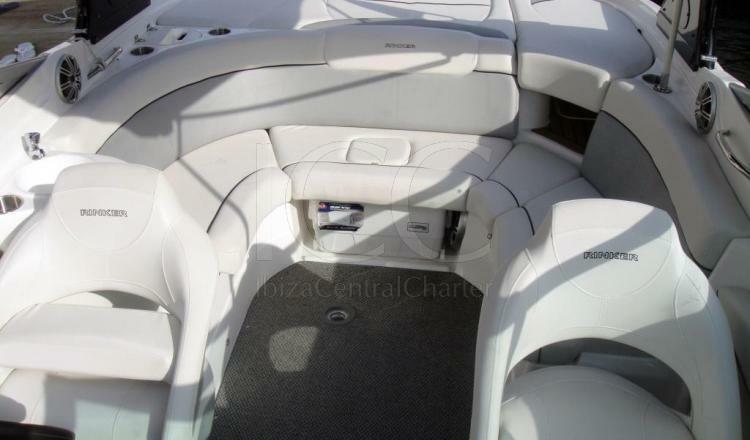 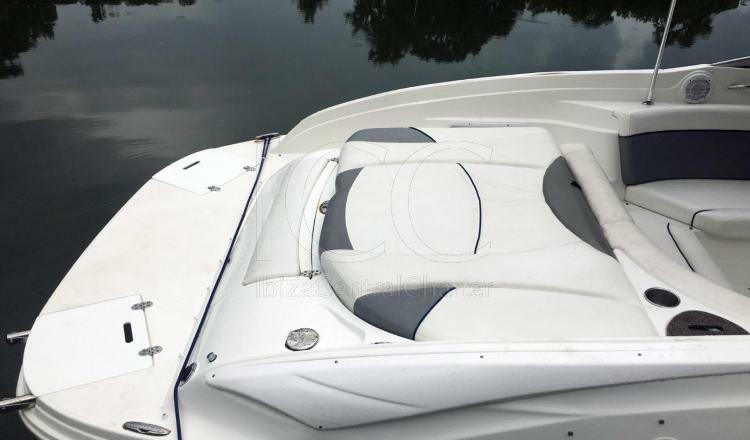 Its navigation is comfortable and smooth thanks to the design of its V-shaped hull. 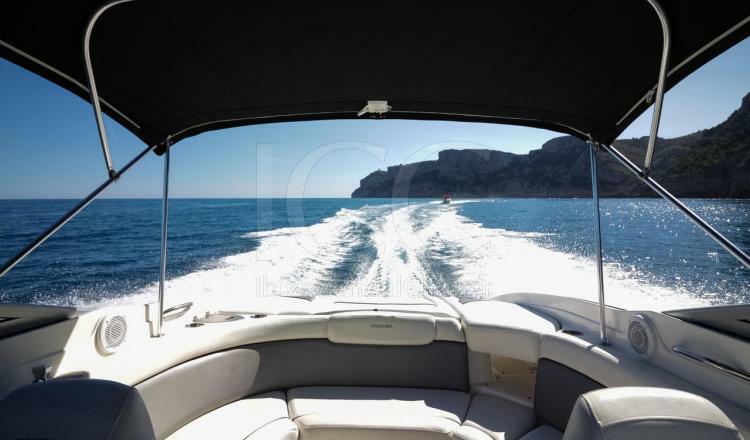 The bathtub has an elegant distribution, in which it has a full solarium in the aft area to relax while sunbathing, a lounge with a table to enjoy a snack while we listen to the music that we like the most thanks to its sound equipment and a swim platform that will facilitate access to water. 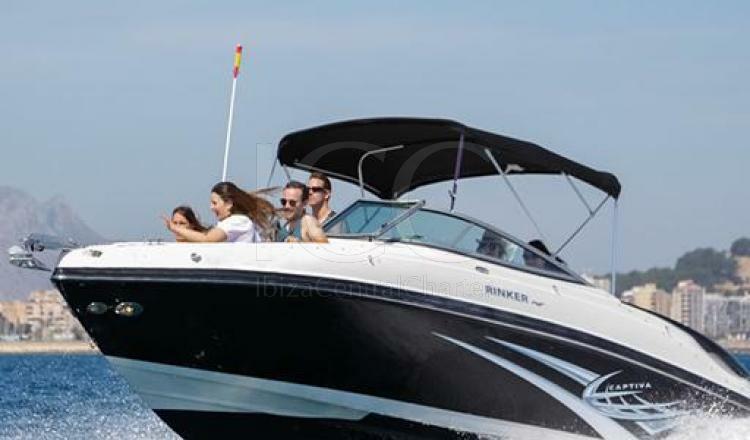 The Rinker 246 is the ideal boat to enjoy an unforgettable experience with the people you prefer.